Truck drivers work long daily and weekly hours on a continual basis. Many accidents are caused by drivers who drive carelessly because they are sleepy, less alert and react slower to crisis situations. The FMCSA established Hours of Service (HOS) regulations to reduce driver fatigue and increase safety. What are Hours of Service Regulations? Within the FMCSA Regulations are a set of rules referred to as Hours of Service (HOS). These regulations are designed to prevent tired truckers from getting behind the wheel and causing serious accidents. 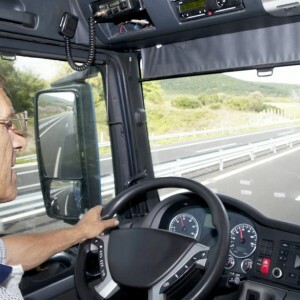 Truck drivers are required to keep a detailed logbook showing their compliance with the Hours of Service regulations. This includes recording their duty status every 24 hours, including total miles driven and total hours worked. “On-duty” time includes time when a driver is conducting any work for a motor carrier outside of driving. This includes things such as loading and unloading their trailers. Listed among the most common causes of trucking accidents, you will find fatigued, sleepy or tired drivers, someone who has been driving too long and too many hours without rest. HOS rules put limits on how long a driver can operate a vehicle and be on duty before they must take a break. Driver fatigue resulting from a HOS violation is considered negligent behavior. The truck accident attorneys at Nash & Franciskato know how to identify when truck drivers have been driving in excess of the Hours of Service laws. We understand the regulations, how they apply in different situations and know how to determine if these rules have been violated. We know how to handle truck accident claims, taking the burden off your shoulders and enabling you to concentrate on what matters most: healing and recovering from the accident. $1.1 million total settlement for a driver struck from behind by a tractor-trailer whose driver had violated federal regulations for driving and logging hours. Truck accidents due to fatigue can be devastating, leaving you suffering from severe physical and emotional injuries. Nash & Franciskato, a Kansas City based personal injury law firm, represents those injured in trucking accidents. If you need to understand your legal options and the likelihood of obtaining compensation after an accident, contact our experienced trucking accident attorneys for a free, no-obligation case evaluation.